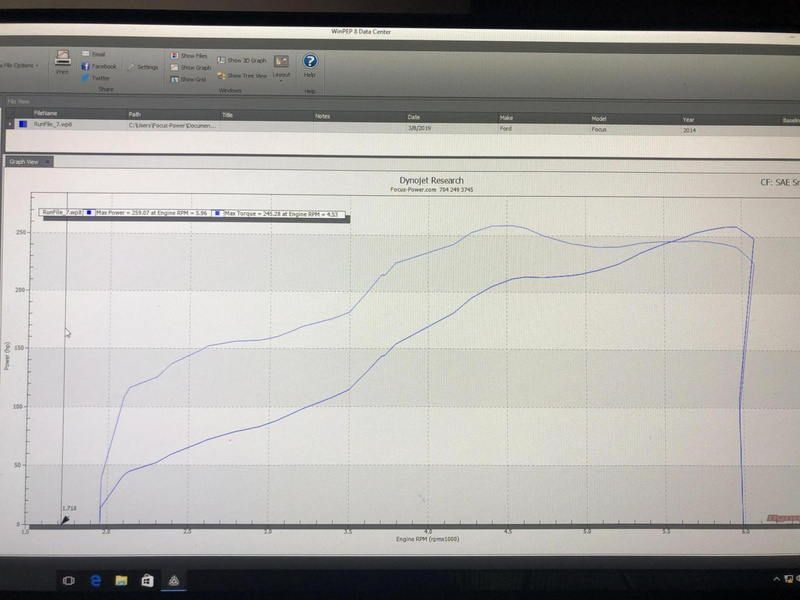 We have just finished a tuning session with Tom’s DIY turbo kit on my 2014 SE. I am extremely pleased with the results as well as the performance results of the kit. This tuning session was performed with 10 lbs of boost. 1turbofocus, Arco-Zakus, reverendhtc and 4 others like this. felixthecat, ProjectCommuter and izzatisa like this. Last edited by 1turbofocus; 03-09-2019 at 09:07 PM. I want to see the engine with this setup. FocusFreak127, could you give a quick rundown of your engine specs .... DCT / manual trans ... built / stock block ... etc. How much do you think a lower temp T-Stat would help? Maybe an RS intake? Any video of the dyno pulls? No, sorry I meant the air box. By the way Tom, the tune is running GREAT! I do have videos, unfortunately it is not letting me post them from my phone.